Hello, I am new to the Board, so Hope this goes well. I dont mean to be long winded, but here is the facts the best I can descripe. I have a 1990 Ford 6610 series 2 with Q cap, 2 wd with only 1678 hours on it. I have a TA26 Westerndorf Loader on the tractor. 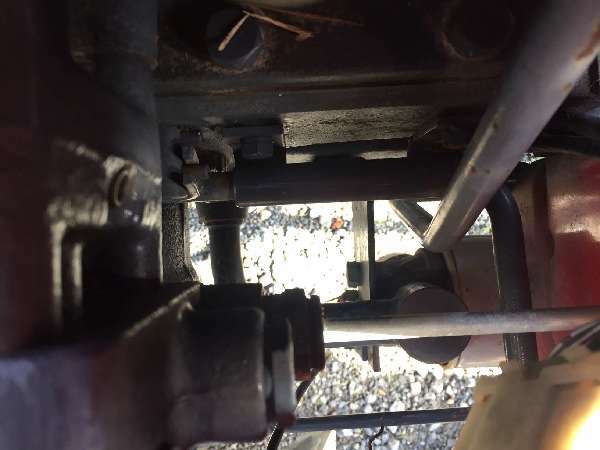 The loader valve assembly has been tied into the hydraulic's of the tractor by 2 hoses that appear to becoming from the top of the Tramission housing,where the Valve assemblies normally appear to be (Under the seat). The Loader works fine. I have single remote set on the back. Up until a week or so ago the 3 pt worked OK. I had hooked a disc up and done some discing, but during discing I noted that the Hydraulics did repound slower than normal, but they did work. After discing I went to hook up to a 3 pt implemetn. The tractor well not raise any implement at all. Without a implement the 3pt arms well raise normally and stay up, not drifiting down. I have tried with and without the loader attached, etc. No luck. There is a line that comes from the Valve area(Under the seat to the remote set, propaply 1/8" steel. I have removed and blew out. Operated the tractor with it off, and fluid is discharged from the Remote set. Fluid is full, was a little low to bein with but brought up to safe area. I need HELP, and really cna't fin any. I hope someone is out there that can shed a little lite on me. I am fair at mech., and fair at knowing my way around the tractor, but in know means not an expert by any form of the word. Any help would help this ole farm boy out, thanks Ken. The only thought I have is: is there a second level such as draft that is set such the lift is not picking up the load?